The official, Wang Xiaofeng, said at a news conference on Wednesday that no violations had been found in the random inspections that the ministry recently finished carrying out, but its work on market supervision, the delivery of tourism-related information and public services still needed to be beefed up. "Any improper management, such as employing unlicensed tour guides or drivers, fraudulent low-priced tour packages or forced consumption, will be investigated," he said. "Supervision of venues offering entertainment, including computer games and profit-making shows, will be further strengthened during the break." He added that online and telephone channels for reporting problems will also be available during the festival to help secure travelers' rights and ensure order in the tourism market. In addition to increasing supervision, the ministry is enriching activities and products available to travelers during the Spring Festival holiday. 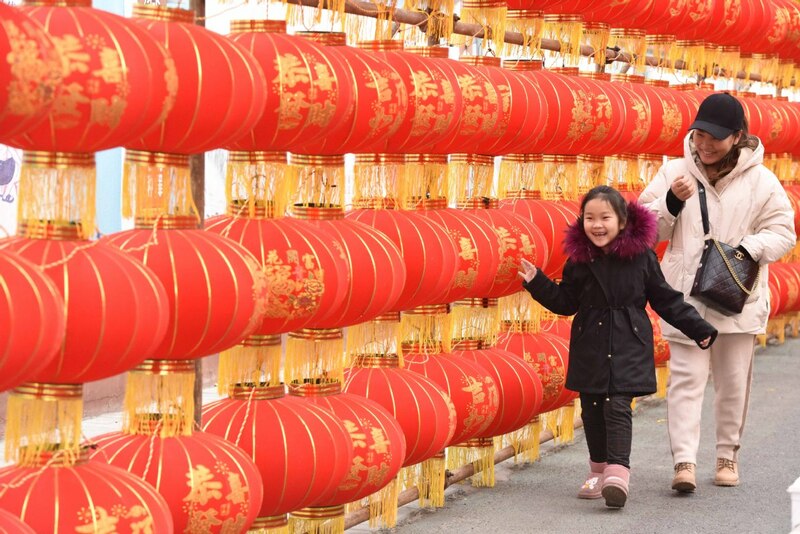 Zhang Jilin, deputy chief of the ministry's resource development department, said that cultural events such as traditional temple fairs, song and dance shows and lantern festivals will be held. "More diversified tour products are also ready to attract travelers," he said. "Besides the popular destinations, such as the northeast provinces famous for snow scenery and China's southern part for warm climate, provinces such as Fujian and Guizhou are also launching activities to attract travelers." Wang said that travelers are encouraged to behave properly when visiting domestic or foreign destinations during the seven-day break. The ministry also posted a statement on its website urging Chinese tourists to abide by local laws and regulations at their destinations, to respect local traditions and religions and to avoid inappropriate behavior such as littering, smoking or talking loudly in public areas. "We did a survey at overseas travel destinations last year focusing on what foreign hosts think about Chinese travelers' behavior. The survey found that 62.5 percent of interviewees welcomed Chinese travelers warmly because of their civilized behavior, up 4.5 percentage points over 2016," Wang said. The Spring Festival holiday, from Feb 4 to 10, is recognized as a Golden Week for tourism. More than 400 million trips are expected to made by tourists from the Chinese mainland during the holiday, including an estimated 7 million trips to outbound destinations, travel agencies said.